"Engaging in Civil Discourse at Emory," a panel discussion showcasing strategies for engaging in conversations and finding common ground with people of opposing views, is set for Thursday, Oct. 19. How do we reach beyond our differences to find common ground, to be open to hearing the other side of an argument? 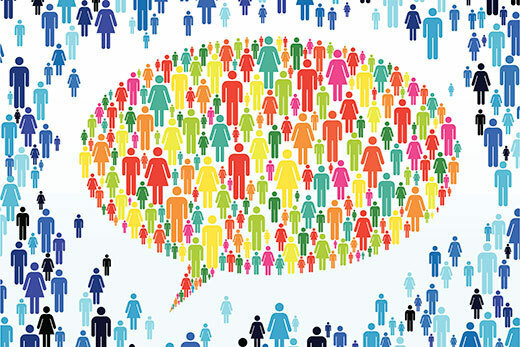 “Engaging in Civil Discourse at Emory,” a panel discussion showcasing tools and strategies for engaging in civil discourse with people of opposing views, will explore those questions and others on Thursday, Oct. 19. The event, which is free and open to the public, will be held from 6 to 7:30 p.m. in the Jones Room at the Woodruff Library. Organizers say the forum is intended to advance the spirit of civil discourse, demonstrating ways in which participants can publicly disagree with others in a manner that builds and nurtures the community. It is sponsored by the Emory University Senate Committee on Open Expression’s subcommittee on civil discourse. How do we train ourselves to be open to listening to the other side? How do we find common ground with people with whom we completely disagree? Moderated by Sasha Volokh, chair of the Emory University Committee for Open Expression and associate professor of law, and Kristin Wendland, University Senate past president and senior lecturer in the Department of Music, the panel will conclude with a public question-and-answer session.